April is National Autism Awareness month – join Joey’s Fund in this opportunity to promote Autism awareness, acceptance & draw attention to the thousands facing an Autism diagnosis each year. Autism Spectrum Disorder is defined as a complex developmental disability that affects a person’s ability to communicate and interact with others. Many behaviors associated with Autism include delayed learning of language, difficulty making eye contact or holding a conversation, etc. Did you know that Autism is so widespread that 1 out of 68 children born in the United States are affected by this developmental disability? 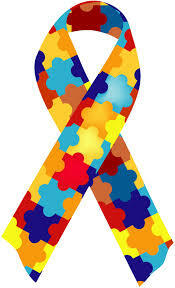 Chances are, we have someone in our family/friends circle that has in fact been diagnosed with Autism. It’s crucial for us to get together as a community and support all of those facing this diagnosis! Spring is in the air! Memorial Day Weekend!